Fried Veal, With Rice, Chinese Cabbage And Mushrooms. Sprinkled With Sesame And Soy Sauce. Top View. Fotos, Retratos, Imágenes Y Fotografía De Archivo Libres De Derecho. Image 118519787. 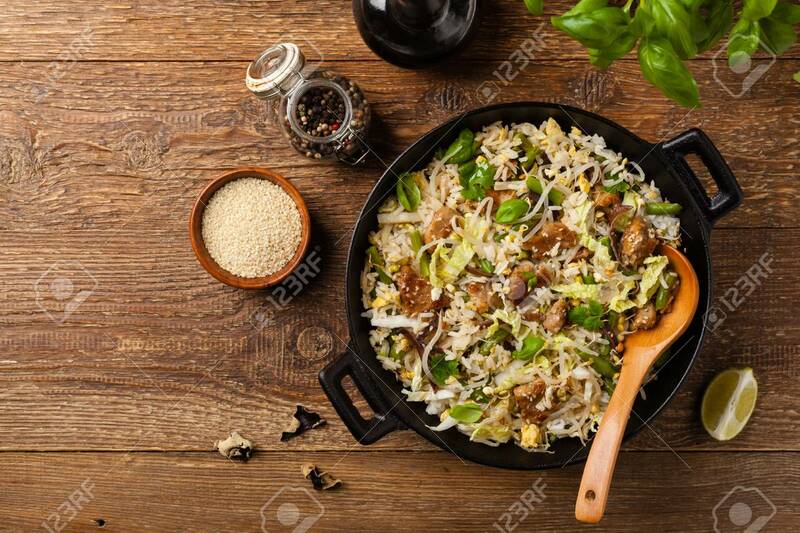 Foto de archivo - Fried veal, with rice, Chinese cabbage and mushrooms. Sprinkled with sesame and soy sauce. Top view. Fried veal, with rice, Chinese cabbage and mushrooms. Sprinkled with sesame and soy sauce. Top view.